All About Korean Entertainments And Culture: KBS's new drama “Producers” took first place in content power rating. 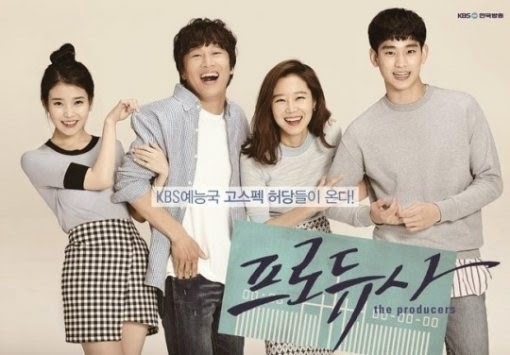 KBS's new drama “Producers” took first place in content power rating. On May 26th, according to CJ E&M contents power index (CPI), Kim Soo Hyun's new entertainment drama “Producers” rated first place in CPI rating. CPI rating reflects the media environmental changes and is centered on the power of programs as well as the value that is measured by consumer activity. It is a new evaluation system of new contents effective power and compiled the rankings of news subscribers, actual search engine rankings and buzz rankings. It uses as a target the three national channels and cable channel's dramas and shows. “Producers”'s viewr ratings is also on the rise, highest rating recorded at 11% this week. MBC's "King of the Masked Singer" rated second place while tvN's 'Three Meals a Day' rated third place in CPI rating. SBS drama "girl who sees the smell" at 4th place, fell significantly from 1st place last week.